Little Sis LOVES scissors and cutting right now, so I put together this Broken Hearts Scissor Skills Activity for her to do. 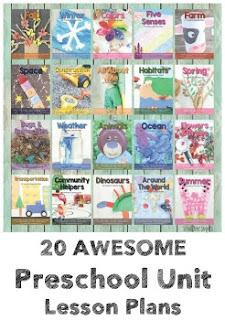 I love that it was super simple to put together, yet works on some very important skills-- fine motor skills. 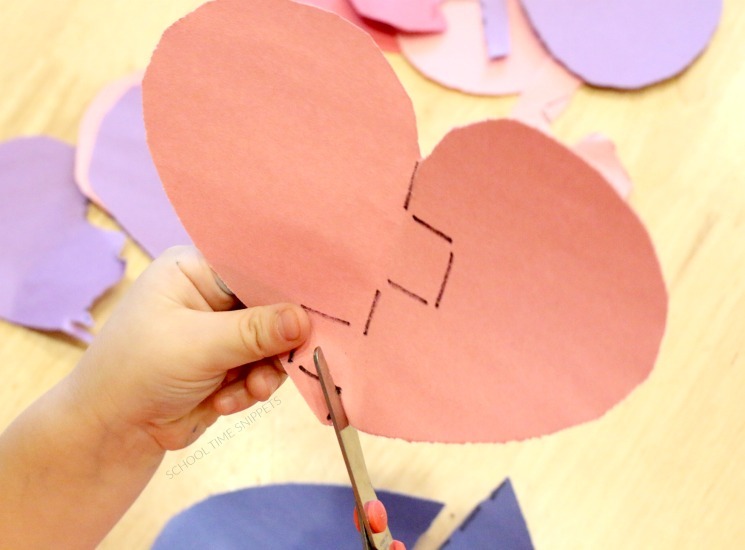 To encourage her love of cutting and to continue to work on this particular skill, I set out a tray of red, pink, and purple colored construction paper hearts with various types of lines to practice cutting. 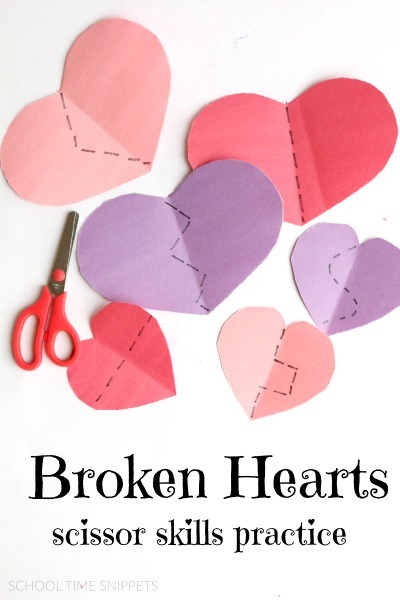 It's a perfect preschool fine motor skills task for Valentine's Day or when you are learning about hearts! Some lines were straight. Some lines were zig-zag. And still others were wavy. Little Sis cut them up to form broken hearts. I drew dotted lines on several hearts, giving Little Sis something to follow as she cut through the hearts. This activity could also be used with foam hearts you may be able to find at a craft store or dollar spot. Some difficulty ensued when I originally did this activity with Little Sis, but that proved that we should definitely continue to work on scissor skills! Regardless of some difficulty, she very much enjoyed her cutting practice activity! I cannot recall giving her a task such as this where she had to follow the line as she cut, so for it being her first time-- I thought she did a great job! She was very focused on this activity. 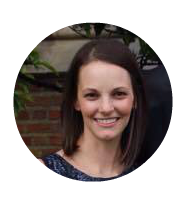 Preschool is a great time to encourage and hone those scissor skills! Little Brother who recently turned four enjoyed this activity as well! 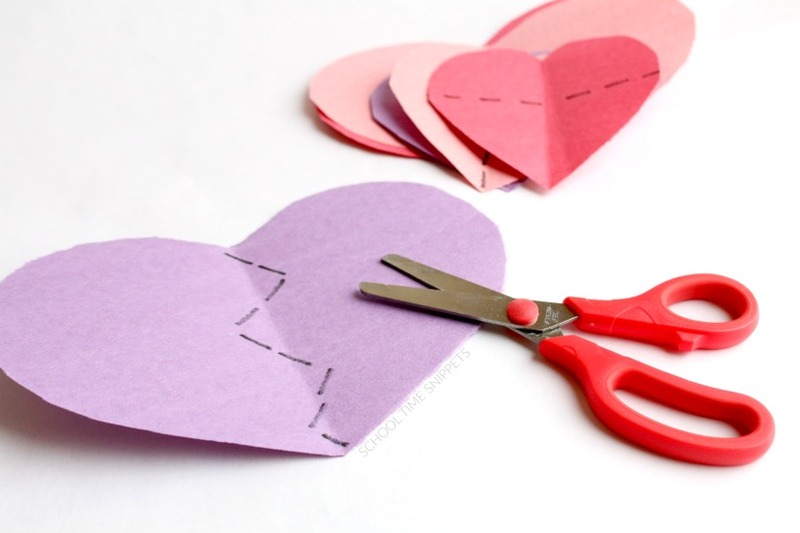 Will you be having some Valentine themed fun in your homeschool/ classroom? I'd love to hear about it! 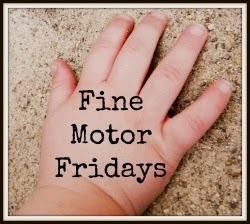 This activity is part of the ongoing Fine Motor Friday series. Check out what the other co-hosts have for you this week!